Pulmonary embolism refers to the obstruction of the pulmonary artery or one of its branches by a thrombus that originates somewhere in the venous system or in the right side of the heart. The clinical symptoms depend on the size and location of the embolus. Careful analysis of risk factors aids in diagnosis; these include hypercoagulability, damage to the walls of the veins, prolonged immobility, recent surgery, deep vein thrombosis, postpartum state, and medical conditions such as polycythemia, heart failure, and trauma. Treatment approaches vary depending on the degree of cardiopulmonary compromise associated with the PE. They can range from thrombolytic therapy in acute situations to anticoagulant therapy and general measures to optimize respiratory and vascular status (e.g., oxygen therapy, compression stockings). Pulmonary embolism is a frequent hospital-acquired condition and one of the most common causes of death in hospitalized clients. Preventing thrombus formation is a critical nursing role. 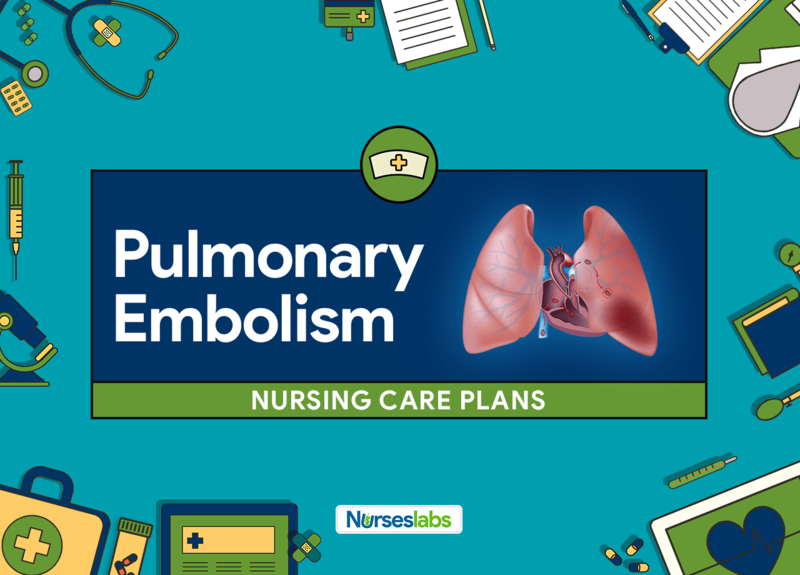 Nursing care planning and goals for a client with pulmonary embolism include managing pain, relieving anxiety, providing oxygen therapy, preventing the formation of a thrombus (ambulation and passive leg exercises), monitoring thrombolytic therapy, decreasing the risk of pulmonary embolism, and preventing possible complication.